ImageryAdventures Landscapes change as fast as I do. Today, learning just about anything is more accessible than it ever has been in history. 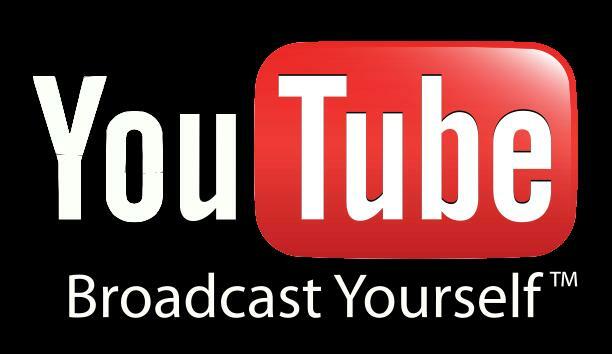 According to YouTube’s in-house statistics, each minute, more than 100 hours of video are uploaded to the website. And that’s just one of hundreds of wonderful websites which allow visitors to explore and learn about a variety of subjects all around the world. YouTube is localized in 56 countries in 61 languages worldwide. So when I made the decision to drop out of college and pursue a career in the family photography and printing businesses I knew that this didn’t have to mean I would not keep learning. College is structured of course so that a graduate has undergone a quantifiable and standard learning regiment. Most universities offer their students ‘a tailored education’ to meet the needs of each individual student but in a way it’s like going to In’N’Out where you can get a burger with or without cheese, pickles, tomatoes, or sauce – essentially you will still have a hamburger not a burrito. If that product works for you then it’s a great way to become educated without having to come up with a truly unique education. However, for anybody who wants to learn a new language, better writing skills, a new workout, or the history of traditional Buddhism, it’s merely a matter of willing yourself to seek out said information. There are a smattering of photography schools, especially in the metro Los Angeles area. These schools range from one day workshops in general tips and tricks to full degrees in Photography and Fine Arts. Yet again, as helpful as these courses may be to a photography student none will offer a truly tailored program which allows the student to explore the aspects of photography he or she is interested in with unlimited depth, or skip over parts of the field which they will not use in their career. Of course it’s impossible to say what exactly I will do in photography but shelling out thousands of dollars to LA Film School or the Academy of the Arts seems like a less-direct investment than applying those funds to a photography trip with real-world challenges and opportunities. Thus I have elected to forgo a traditional education in photography and use my closest resource as a mentor. My father has been shooting photography since he was a kid but really got into it more seriously once his printing business began to be successful. In the early 90s, he and my mom took a three month trip and several shorter trips to photograph the United States. They made beautiful landscape calendars and also printed them to sell for christmas gifts. Although these calendars were less than a million-dollar idea, they did allow our family to travel and enjoy tax writeoffs because the equipment was used for business purposes. We first started with a Lazy Dayz motorhome but after experiencing strong winds in southern Utah sold it to get something heavier. Later came a 45ft. Blue Bird coach which had overheating issues. Finally we settled on a 45ft. 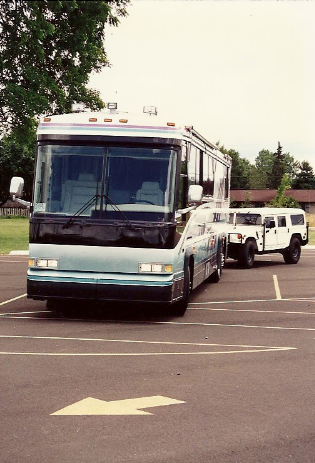 Marathon coach complete with a K2500 Suburban 4×4 in tow. My first spoken word was actually ‘burban. From a very young age I was fascinated with anything transportation. The ‘burban later gave way to a Hummer H1 wagon which was the first sold to civilians in California after Arnold Schwarzenegger. From a very early age I was fortunate to travel and ride in some neat vehicles. These are passions I still hold today and look forward to sharing with my kids someday. Landscapes change as fast as I do.